A traditional North American breakfast seems to be all one colour – golden brown, and consist mostly of processed carbohydrates. Hello, bagels, waffles, pancakes, hash browns, and everything else that translates to basically bread. Don’t get me wrong, I love bread (the real thing, that is), but I’d rather not make it a centre of my plate. This one is obvious, so let’s get it out of the way. Note to the ladies – at 6g of protein per piece, one egg is not exactly a protein rich breakfast. Think 2-3 eggs, or add egg whites [1 egg + 1/2 cup of egg whites works well] or other source of protein to supplement. For example, throw couple of ounces of cooked chicken in with one egg, and load up with veggies. Done. Breakfast hack – adding couple of heaping tablespoons of legumes (beans, chickpeas) to your eggs results in a MUCH more filling breakfast. If you often find yourself hungry two hours after breakfast, try it! Assuming you can tolerate lactose without problems, yogurt is a breakfast option. If you are going for protein punch, Greek is really the only one that would do here. If you check the labels, you’ll realize the drastic difference in protein content between regular yogurt and Greek yogurt. 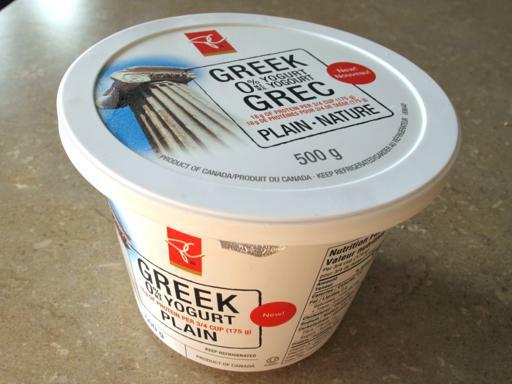 Flavoured yogurt (even Greek) would also have less protein per serving. Get the plain kind, and dress it up with whatever you like! With Greek yogurt, the serving size is bigger than you think – about 1 cup. So, a standard 500ml tub of Greek yogurt will give you TWO servings of yogurt. Eat up! 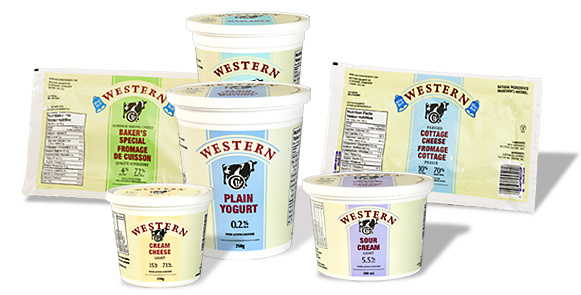 Plain cottage cheese has the highest protein content from all non-meat sources. Holy moly. Notice that the kind that comes in cubes/blocks is better (simpler, less ingredients) than the one that comes in tubs. And dear North America, what the hell is up with adding SALT to cottage cheese? That’s just wrong. As with yogurt, dress it up, and make it pretty. 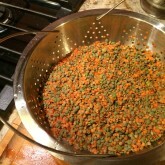 You can also add it to your omelet or spoon on top of fresh or cooked vegetables. It goes really well over top of tomatoes with a bit of fresh basil. Boom. If you are not a big fan of lumpy texture, you may be pleased to know that cottage cheese blends beautifully into a smoothie. Please do not eat it as is. It is dry and hard to swallow. A smoothie (or a Super Shake, in PN speak – recipes here!) would be the easiest option here – pick a liquid, a vegetable, a fruit, add protein powder, blend it up. If you prefer a more solid meal, mix the protein powder in with your oatmeal, quinoa, or even cottage cheese (continuing to mix and match protein sources!). Here’s my favourite protein powder. Try not to lick the blender. So. Freaking. Chocolatey. It is possible to eat meat for breakfast if you so choose. My favourite is probably this Maple Blueberry Breakfast Sausage recipe. They taste as good as they sound. You can pair them up with a quick salad – if you are up for a salad in the morning. I prefer something warm – think sautéed zucchini, spinach, and/or kale. With garlic. Obviously. If you are running out the door, grab some veggies that are easy to eat – I like baby carrots and cherry tomatoes. I also love combining ground meat with eggs for an easy breakfast that can be made ahead of time – egg muffins! Throw a generous helping of smoked salmon along with tomato slices, red onion and capers on a slice of toast – you can add cream cheese for a classic flavour combo (thanks, Terry!). 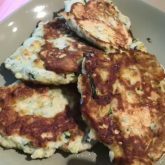 Or try these Spicy Tuna Cakes from NomNom Paleo. Toss some veggies on the side (see above), and you are good to go. Go all anti-establishment, and shake off the societal norms of only having certain foods for breakfast. Don’t get all stuck in the breakfast paradigm – break out! Think outside the box. A meal is a meal is a meal. Have chili for breakfast, damn it. Or a tofu scramble. Or a steak.These 7-ingredient falafel burgers sound awesome. Or my favourite no-cook meal, aka leftovers! Want more? 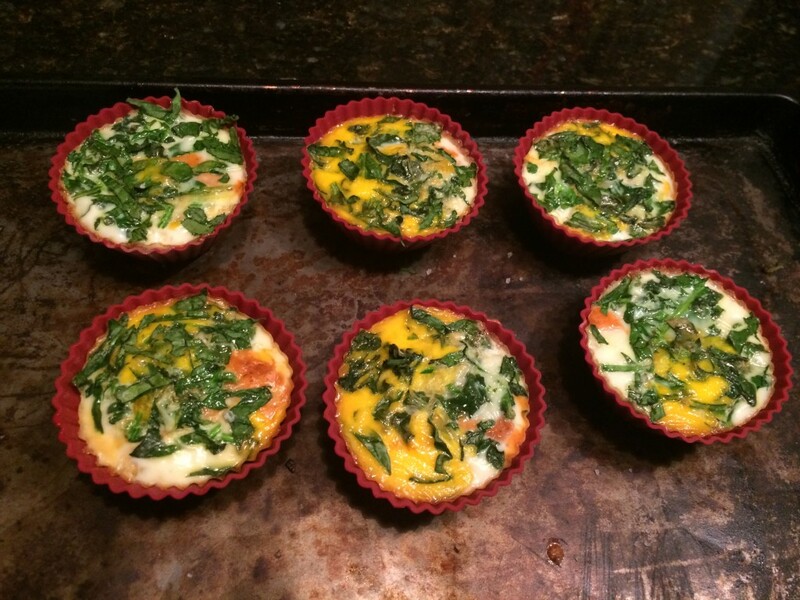 Check out these breakfast recipes from Precision Nutrition. Peaches and Cream Omelet is amazing! YOUR TURN: What is your favorite protein packed breakfast? What am I missing?